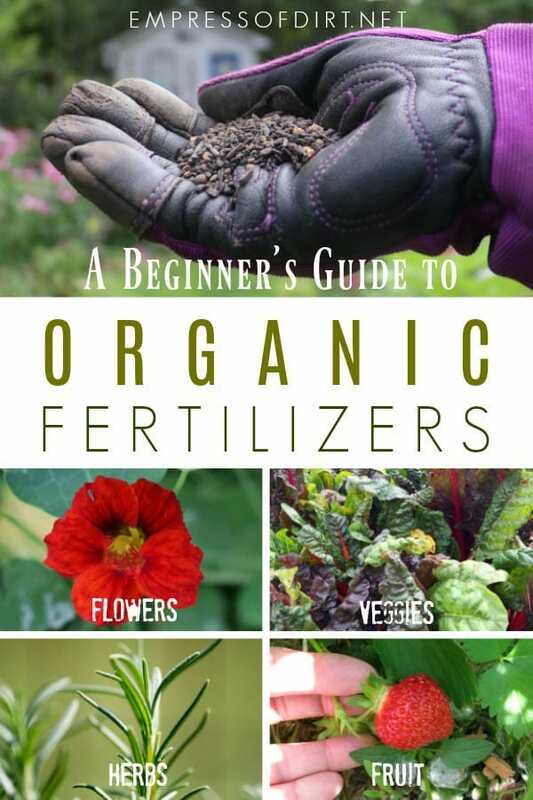 If you are wondering what type of fertilizer to use in your garden and whether choosing organic or synthetic matters, this should help. To get started, keeping compost is the most economical way to enrich your soil and feed your plants. From there, you can decide which additional fertilizers best suit your situation. We have a problem! Gardeners are not patient, especially when first starting out. We want fast, fantastic results without a learning curve. We want to jump to the front of the line and have fabulous, thriving plants without the hassle. Just tell me what to do and I’ll do it! I get it. I’ve been there, done that. The problem is, when it comes to growing stuff, most shortcuts come with a big price tag. Fast-growing plants are often the invasive ones. Pushing plants against their natural schedule can exhaust them. And incorrectly fertilizing them can adversely affect the long-term health of your garden and the environment. When it comes to fertilizers, it’s time to dial it back, and consider the big picture. First, as cliché as it is, gardening is a journey, not a destination. There will be peaks and valley, fantastic blooms and dismal setbacks, and everything in between. But the one thing that sets some gardeners apart is the choices they make with the overall health of the soil (and earth) in mind. 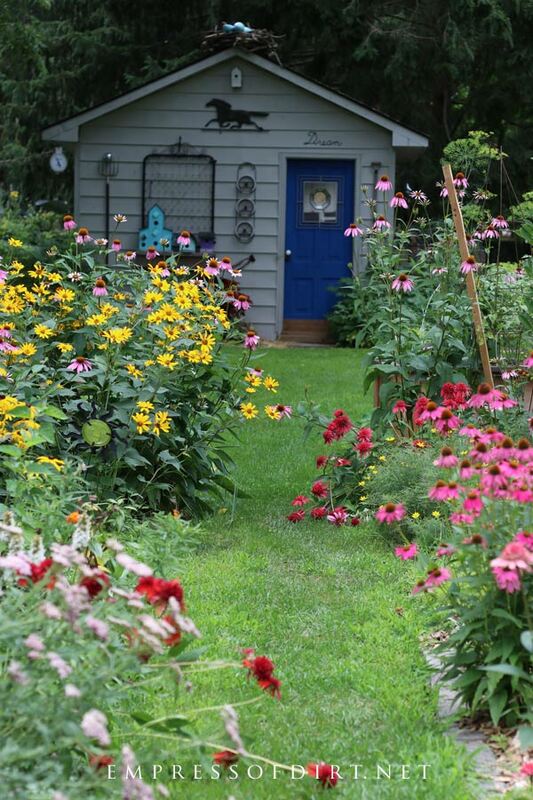 We all want beautiful, healthy, abundant gardens, but it’s how we get there that matters. For starters, soil health is key to a great garden and what we do to our soil can make or break it. Amending soil with fertilizers provides the nutrients plants need to grow, flower, and fruit. Done right, you’ve got fertilize soil and a chorus of delighted microbes. Done wrong, well, everything suffers. 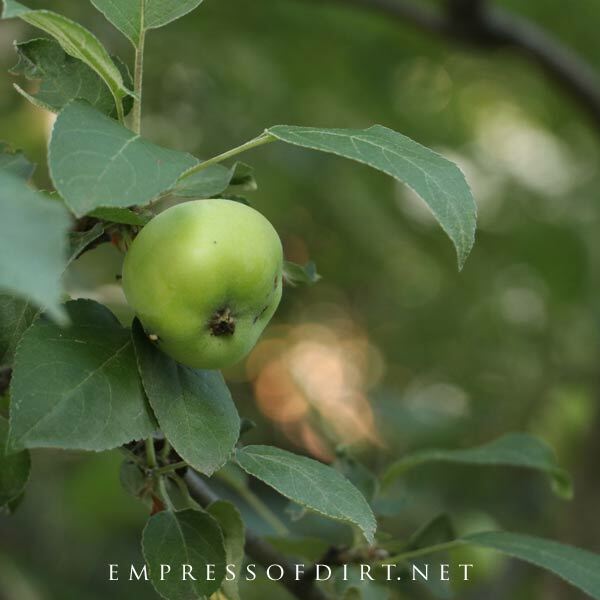 I’ll give you an overview of the two basic types of fertilizers: organic and synthetic, and then we’ll look at some practical suggestions for feeding the plants in your garden. This information is not about annuals you may purchase that have been forced in a greenhouse. Those usually come with slow-release, synthetic fertilizers in the potting mix or specific instructions for single season care. This info is about fertilizing your ground soil, and anything you grow in containers including raised garden beds for long-term plant care. A soil test from an accredited laboratory is always a good idea for understanding the composition of your garden soil. The results provide an analysis—what it has and what it lacks—and recommendations for improving any deficiencies. The impulse in the gardening world of the past few decades is just to impulsively add products to the garden without knowing if they are truly needed. A more eco-friendly and frugal way is to get facts, find out if there are actual deficiencies, and respond accordingly. If you are using plain soil-less potting mixes—which is a good choice for containers—the essentials needed to support your plants will have to be added if they are not included in the mix already. In this instance, you don’t need a soil test but instead can go ahead and choose a fertilizer routine suited to your specific plants. I avoid potting mixes with fertilizers added and prefer to control them myself. There’s more on this below. Before we discuss the types of fertilizers, it’s good to know your N-P-K. This comes up in gardening a lot. A simple way to remember how they affect the plant is Up (nitrogen), Down (phosphorus), and All Around (potassium). or some other combination of three numbers. The numbers indicate both a percentage (of the whole product) and ratio (in proportion to the other 2 main ingredients). 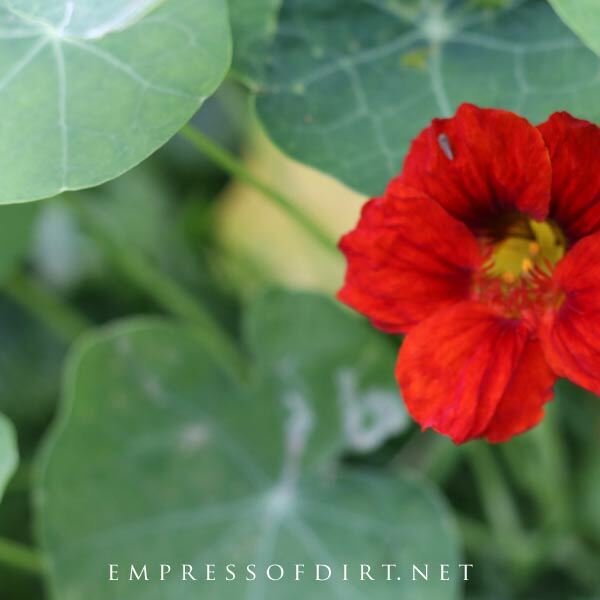 Espoma Rose and Flower Food (4-3-2), is an organic, slow-release fertilizer. It is formulated to support the growth and flowering of the plant through the growing season. This product also contains beneficial microbes. The product is marketed to rose growers but also used for other flowering plants. The numbers on the package are 4-3-2. That’s 4% nitrogen (N), 3% phosphorus and oxygen (P²O5), and 3% potassium and oxygen (K²O). The rest of the product is filler, which is good because this keeps the macro nutrient levels at the desired ratios for healthy roses and flower blooms. Okay, so that’s N-P-K (up, down, and all around). Now let’s look at the two main types of fertilizers. What are ‘natural’ or ‘organic’ fertilizers? Natural or organic fertilizers are derived from organic matter found in plants, animals (including manure), and/or powdered minerals. The use of the word ‘organic’ here means the materials have been minimally processed and retain their natural forms. When added to our gardens, they are converted by microbes (tiny life forms like bacteria and fungi) in the soil, making them available for uptake by plant roots. These fertilizers may be produced in a factory, farm, or your compost pile (see how to compost here and how to compost in the winter here). They are slow-acting, delivering a low-dose of nutrients beneficial to soil health and plant growth, and unlikely to overdose (although it’s always possible with any over-application). Because of their composition, organic fertilizers not only offer the macronutrients plants need: nitrogen (N), phosphorus (P), and potassium (K), but also provide secondary and micronutrients, vitamins, and other goodies that help improve soil structure and health, resulting in stronger, healthier plants. Commercial organic fertilizers are generally more expensive than synthetic fertilizers, but, if you factor in the benefits to soil health, environmental considerations, and sustainability (more on this below), they (in my opinion) provide greater value. Fertilizers may be soil-like (compost), liquid, granular, or spikes inserted in the soil. I’ve listed specific organic fertilizer products below. Synthetic (commercial, chemical, manufactured) fertilizers are often petroleum-based, deriving from fossil fuels or mined from naturally-occurring mineral deposits which are manufactured or refined in factories. To their credit, complete synthetic fertilizers absolutely deliver the three macro nutrients: nitrogen (N), phosphorus (P), and potassium (K) in a form that roots can immediately absorb—and they do it quickly. And that’s why they’re so popular. The drawbacks are how they are made, where they are sourced from, and how they affect the soil and our waterways—all things that can be undesirable to eco-friendly gardeners. Synthetic fertilizers are usually less expensive than organic fertilizers, but the overall cost to the earth may cancel the value for home gardens. Because they are powerful and fast-acting, it is critical to apply synthetic fertilizers with caution and care, following the instructions carefully, erring on the side of under—rather than over applying. Otherwise, any surplus in the soil can burn or kill the plants, adversely affect the soil, and/or enter our waterways caution a variety of serious problems (more on this below). Examples of product ingredients in synthetic fertilizers include ammonium phosphate, ammonium sulfate, ammonium nitrate, potassium sulfate, and superphosphate. Product labels may show N-P-K numbers like 20-20-20. The N-P-K numbers for synthetic fertilizers are higher than the amounts in organic ones. How do I know whether a fertilizer is organic or synthetic? Great question! Start with the label. What does it say? Look for the word ‘organic‘ on the product. Both organic and synthetic fertilizers say ‘fertilizer‘ or ‘plant food‘ on the label. Sometimes these products are also called ‘soil amendments’ or ‘enhancers’. But don’t stop there. Read the whole label. Check the ingredients. Look up the company. Find out how they make the stuff. Where does it come from? What is it? What will it do? What are the warnings? 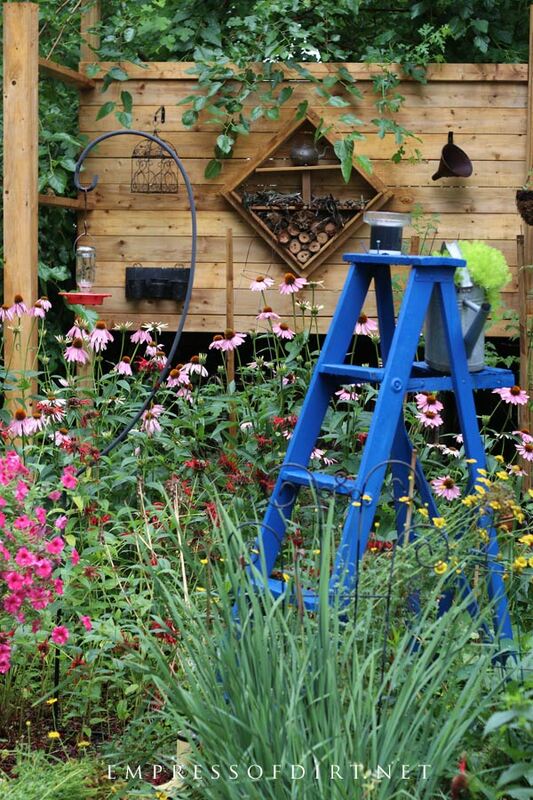 Is it right for your garden? Ensuring it is organic and therefore slow-release and (we hope) beneficial to the soil is step one. Step two is feeling good about the source, processing methods, packaging, and so on. It’s a complicated world out there and the choices we make all add up. Which type of fertilizer is best for the environment? If you have read this far, you know this is a loaded question and huge topic. The answer is: both organic and synthetic fertilizers have ethical and environmental flaws, but overall, I’d always choose organic (of course). I’ve been gardening for decades now, using compost to enrich my garden beds. That was efficient on top of the compact clay soil at my old garden, but not quite adequate in my current, sandy soil garden. My second choice is composted animal manure, but it often comes in big plastic bags, which presents a whole other wasteful problem. The one time I bought it in bulk—happily avoiding any plastic bags—it happened to contain weed seed—indicating it never got hot enough during the composting process to kill the seeds—and that, in turn, caused a lot of headaches in the garden. If you have your own critters like hens or rabbits, those are both excellent sources, and rabbit poop does not require a waiting period: it can go straight into the garden. If you are sensitive about animal rights, you may not want to use an animal-based product like manure, fish emulsion, or blood or bone meal. But, some support this use because it makes use of every part of the animals. Fertilizers derived from fossil fuels or mines are not sustainable long-term, and the processes for obtaining the materials are destructive. Synthetics can also cause a buildup of chemicals like arsenic, cadmium, and uranium in the soil, harm the microbes, reduce soil fertility, and change soil pH levels. And, yes, there’s lots of hypocrisy in all of this because most of us live on the grid and ride vehicles fueled by fossil fuels and so on. There are companies that produce organic fertilizers using lower-impact, sustainable practices with an aim to trample on the environment as little as possible. Mind you, there’s still those dang plastic jugs and bags to dispose of. Gardening, like everything else we do, is not very green. Do your homework and find the solution you can live with. Why are fertilizers harmful to waterways? We’ve heard a lot about this in the past few decades. Basically, synthetic fertilizers deliver nitrogen, phosphorus, and potassium to the soil. Plants take up what they can, and the excess is carried away by rain water. This ends up in our rivers, lakes, streams, and oceans, causing a toxic overload. Imagine thousands of acres of farms, all (inadvertently) introducing surplus fertilizer chemicals to waterways. You’ve probably seen algal bloom—where the water becomes clogged with overgrowth of algae and aquatic plants, choking out everything else. Ultimately, they die off and sink down, depleting the water of oxygen. This in turn kills off fish and other aquatic life. Toss in pesticides, insecticides, herbacides, and plastic pollution, and we’ve created dead zones: entire sections of waterways that are virtually lifeless. But that’s farms doing that, some say. Certainly, a little home use doesn’t matter? Well, we all play a role: there are millions and millions of us gardeners all doing similar things. Grass lawn fertilizers are another huge problem. So yes, it all adds up. Again, this is why less is more with synthetic fertilizers, and organics should be selected to fill specific needs, not broadcasted without an identified need or deficiency. So, which fertilizer should I use? Here’s the two choices. Whichever type you choose, decide based on what your plants actually need. By now you know I’m not a fan of synthetic fertilizers. If you must use them, read the labels, pick a product made for your needs, and follow the instructions EXACTLY. Or better still, under-do it. 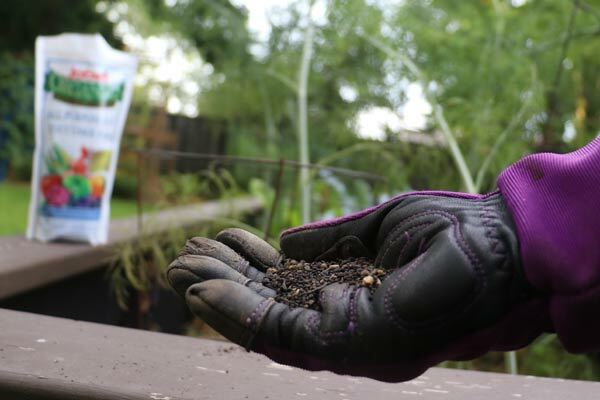 For long-term soil health, start with basic organic fertilizers like homemade compost and composted manures, which can be added to your soil at any time. From there, choose commercial organic fertilizers suited to your needs. That takes us back to the macro nutrients Nitrogen–Up, Phosphorus–Down, and K-Potassium–All Around and choosing a product based on what your soil and plants actually need. 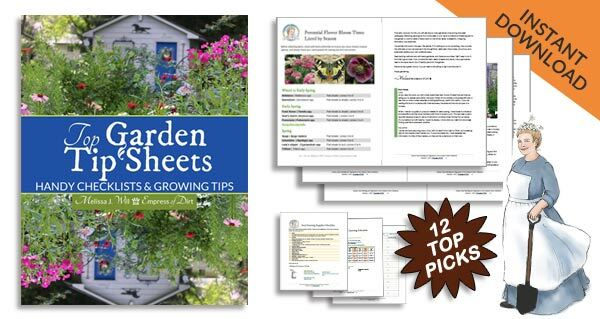 You can buy them online, or, if you have a local garden nursery you love (and it supports organic growing practices), have a look there and see what they recommend. Want to see an example of how an organic fertilizer can help your plants? Amy of Get Busy Gardening has a great example here where she applied an organic fertilizer to some of her tomatoes and peppers to compare the difference. Again, because I put my efforts into producing as much food-waste compost as I can, I have not tried or tested many products. 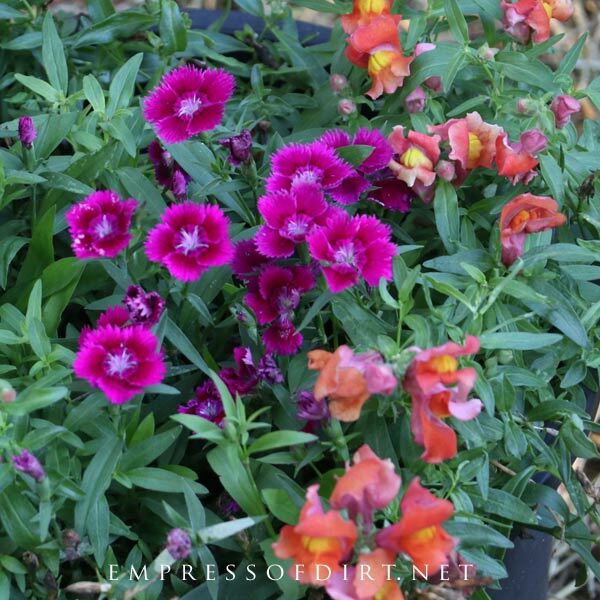 See what is available where you are, at a local nursery or by mail-order. Look up the companies, see if you like what they’re doing, and learn about the different products (percentages and ratios of N, P, and K) to understand what is right for your situation. When applied as directed, these can make a huge improvement in your garden. Plants do not know the difference between the macronutrients in each type of fertilizer: available nitrogen (N), phosphorus (P), and potassium (K) is all the same to them. It’s the side-effects that make the difference. Organic fertilizers are slow-acting, calling the microbes into action which in turn helps improves your soil. Synthetic fertilizers are fast-acting and single-purpose. Excess may harm plants and waterways. 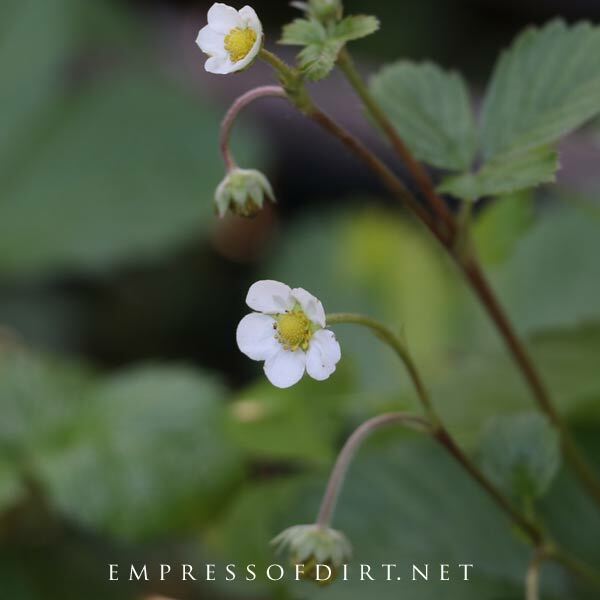 Her Majesty, the Empress of Dirt, recommends using homemade compost for general soil enhancement on an ongoing basis, and supplemental feedings with commercial, organic fertilizers to address specific plant needs. How To Have a Happy Garden With Healthy Soil | Understanding soil and how to improve it. What’s Your Soil Type? Here’s an Easy Test | Sand, silt, or clay? Loam wasn’t built in a day! Why Tree Leaves Change Color in Fall | Revisiting the stuff we learned in school and have forgotten.